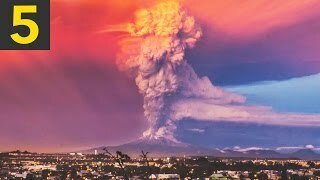 POPOCATEPETL VOLCANO IN MEXICO…SUNSET ERUPTION – Caught this on the live cam by luck. Just as sunset was happening, it erupted and the results were….beautiful! – The Popocatépetl volcano, just 35 miles from Mexico City and only 20 miles from nearby city Peubla sent a mile high plume of ash into the air, putting thousands of people living within 10 miles of it on a yellow alert to be ready to evacuate should activity increase. The Mexican capital is the world’s fourth most populated city and home to 20 million people, while Peubla has more than 6 million people living there, and all could be at risk in both cites in the event of a catastrophic eruption. The volcano alert follows fears earlier this month that a second large volcano in Mexico – the 3,850 metres-high Colima in western Mexico – could be about to face a large scale eruption for the first time in 100 years. Popocatépetl last saw a major eruption in 2000, but early warnings saw 41,000 people evacuated in advance, averting a major disaster.